Last week’s announcement at VMware highlights the continued innovation seen in the end-user computing space, and how important our virtualized or remoted desktop and application solutions are to delivering enterprise workspace mobility, security and business agility. Cisco and VMware have a long, distinguished history of collaboration in delivering a complete solution for virtual desktop implementers and their end users. I’m especially pleased with how our joint solution has delivered industry-leading results. If you check out the infographic shown here, you’ll see just a couple proof points of how Cisco UCS with VMware Horizon (with View) has dramatically moved the needle in terms of TCO, performance and end-user experience. Why is Cisco UCS the Best Compute Platform for Desktop Virtualization? The roster of testimonials in support of the Cisco Desktop Virtualization Solution is growing at a rapid clip. Some great proof points of this success can be found in the case studies we’ve published, across a wide array of industry verticals and deployment scenarios. Congratulations to VMware on the release of Horizon 6. Our companies have jointly set our sights on driving success for our customers with desktop and app virtualization. Our joint solution founded on Cisco UCS and VMware Horizon is enabling our customers to embrace the transformation of their desktops and applications into mobile workspaces, and we look forward to continued joint innovation in this space. AMD is improving user experiences across a wide variety of platforms including VMware Horizon 6. AMD designs and integrates technology for the new era of computing. AMD technology powers all the leading consumer gaming console solutions ensuring our GPU (Graphics Processing Unit) technology leadership. In the professional graphics market we deliver high performance GPU-based compute solutions using open standards like OpenCL while also delivering industry-leading SPECviewperf 12 performance for workstation graphics solutions. At AMD we want to deliver enterprise-ready GPU technologies not just to standalone workstations and servers but also to users of Horizon 6. AMD GPU products drive a better user experience for desktop and application delivery. Horizon 6 perfectly blends the needs of the enterprise with a great end-user experience, enhancing that user experience In Horizon 6 with GPU technology is a key area AMD is focusing on. You may not have heard of AMD GPUs being used in VMware Horizon products. Let’s clarify that right now. AMD has a fully certified vSphere 5.5 solution with vSGA (virtual shared graphics acceleration) graphics delivery. Plus we are investing further to bring even more capabilities to Horizon 6 and current VMware View users. AMD offers products to address the needs of Horizon 6 users. Our FirePro S Series products provide data center-ready GPUs and when combined with our Sky Technology software we deliver a solution that is ready for vSphere and Horizon. Our workstation AMD FirePro product range will also be enabled to support workstation use cases in Horizon 6 environments. Using an AMD FirePro S series GPU for servers brings exceptional GPU performance to knowledge worker users when used with our Sky Technology vSGA VIB driver. This brings DirectX capabilities to mainstream VDI knowledge worker users in a cost effective manner using VMware’s vSGA technology with VDI desktops. Knowledge worker users are coming from platforms that had either an integrated or enterprise GPU, it’s therefore essential to have the option to bring better GPU capabilities to users who will need it. You have users who on occasion use imaging and desktop publishing and you also have power users who build presentations or other business collateral where graphics performance helps deliver results. Putting a more cost effective AMD FirePro S series GPU allows those select users to access a GPU that is virtualized by VMware’s vSGA technology across all servers. This allows for technologies like vMotion to be used to ensure better uptime and support for DR scenarios. With AMD FirePro S series you can afford to deploy our entry level AMD FirePro S7000 on ALL VDI servers ensuring user satisfaction on Horizon deployments. AMD is working with VMware on new technologies, including vDGA (virtual dedicated graphics acceleration), to deliver workstation-class GPU performance to Horizon platforms. AMD is also developing solutions for multi-user support from a single GPU. Stay tuned! Like the choices you have on storage and networking in your deployments, AMD is here to bring choice to GPUs. This helps your Horizon 6 deployments exceed your users expectations. For more information please visit AMD FirePro: VDI and Virtualized Workstations. AMD vSGA VIB drivers for AMD FirePro based GPU products running on vSphere with View 5.3 are also now available. Amazon Web Services has finally caught up with its rivals in regards to virtual desktop implementations (VDI). It’s a strange fact that AWS, so far ahead of the curve in hosted cloud services that most other competitors can’t even see its dust, was so equally far behind a slew of other companies — such as Dell Wyse, VMware, Moka Five,nComputing, and Hewlett-Packard — in a sector that is some 15 years old. In truth, the VDI business has always had some type of nagging problem shadowing it over the years: expense, management complexity, latency, and implementation difficulties being foremost among them. Only in the last few years have most of these issues been solved. With this as background, AWS on 26 March announced the general availability of Amazon WorkSpaces, a fully managed desktop computing service in the cloud that was originally introduced in limited preview at AWS re:Invent in Las Vegas last November. At the same time, Amazon made it a point to talk trash about private clouds – which, according to a number of industry studies, are now the most popular type of cloud being built. “All the things you have to spend a lot of money for in a private cloud – security, full automation, monitoring, many other things – we already have at AWS,” Andy Jassy, Amazon Web Services Vice President for Cloud Services, told about 4,000 attendees at an AWS Summit in San Francisco. One enticement for WorkSpaces will that it will cost about half that of current VDI systems, Jassy said. Go here for more details. AWS said the service will work on a number of devices and will allow users to seamlessly move their sessions between desktops, tablets and smartphones. Amazon provided a pricing guide showing a range of $35 (£21) to $75 (£45) per workspace used per month. There is no upfront fee and Workspaces can be added or deleted on a monthly basis. The desktop virtualisation offering marks a departure for AWS in that the company’s traditional offerings focused on replacing traditional data centre operations, but WorkSpaces offers a direct inroad to customer-device management. VDI technology, which stumbled for a few years until some of its inherent problems were solved, is a hot sector again. Earlier this month, VMware launched its Horizon DaaS (desktop as a service), a new cloud-based service that it claims delivers cost-effective, enterprise-class virtual desktops running on VMware vCloud Hybrid Service. Pivot3, a leading supplier of video surveillance and virtual desktop (VDI) converged storage appliances, announced a set of graphics acceleration offerings for its vSTAC R2S desktop virtualization (VDI) solutions suite. The three-tier offerings, designed for the complexities of virtualized environments, deliver a richer graphics experience for desktops running on vSTAC R2S and vSTAC R2S P Cubed appliances. These partner-certified and tested graphics acceleration offerings deliver a streamlined user experience by maximizing graphics operations and display times. By incorporating powerful performance and graphics processing offload cards, users with advanced multimedia, workstation, or graphics-intensive application needs are assured maximum desktop density. NVIDIA GRID technology delivers the ability to offload graphics processing from the central processing unit (CPU) to the graphics processing unit (GPU) in virtualized environments, allowing the data center manager to deliver graphics-rich experiences to users. The Teradici® PCoIP® Hardware Accelerator (APEX 2800) reduces CPU overhead by offloading the most active 100 virtual displays to ensure its capabilities are used where most needed. In the process, the server consolidation ratio increases up to 2x. which lets organizations test VDI scenarios using Remote Desktop Services (RDS) protocol. announcement. It comes with a couple of applications, Calculator and WordPad, for testing virtual desktop access scenarios. personal, pooled or session-based ones. housed on VMs running Windows 7 or Windows 8." machine, according to this TechNet library overview description. with a "readme" file that provides details about the architecture needed, as well as a deployment guide. Server Based Computing (SBC). Also known as ‘presentation virtualization’ and ‘session virtualization’. Invented by Citrix when it launched WinFrame in 1995. It basically is able to host multiple user sessions on a single operating system. Each user session is able to run it’s own user environment and applications. WinFrame evolved to the current Citrix XenApp. Microsoft acquired the code of Citrix and started it’s own product named Terminal Services. Currently this is called Remote Desktop Services. Both Citrix and Microsoft solutions allow to present individual applications or full desktops. Virtual Desktop Infrastructure (VDI). VMware is inventor of the VDI-technology. It introduced Virtual Desktop Manager 2.0 at January 24 2008. This was the first VDI solution on the market which involved to the current VMware Horizon View. Citrix released competitor XenDesktop in 2009. Using VDI each user session runs on a seperate operating system running as a vitual machine hosted by a hypervisor. For VDI many other terms used. One of the reasons is that VMware has legal rights on the name VDI. To prevent copyright issues some vendors decide to use a slightly different naming. Another reason is because different implementations are used in VDI like server and client operating systems. Server-hosted virtual desktops (SVHD)= Same as VDI. Mainly used by analyst firms. Hosted VDI Desktops (1-to-1 Windows 7/8)= VDI. Term used by Citrix. Personal VM-based VDI= VDI where each user has its own, persistent environment stored on unique virtual disks. Applications which are installed by the user remain available even when session has ended. Pooled VM-based VDI= VDI in which the user environment is reset after the session has ended. 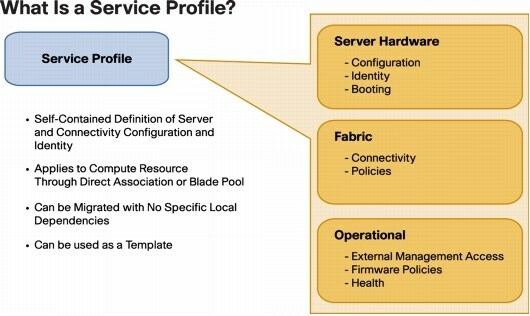 Server VDI Workers (VM/Server Isolation) = VDI. A term used by Citrix. In this configuration virtual machines are running Windows Server as a guest operating system without Remote Desktop Services enabled. Each instance is used by a single end user. In most cases a Windows 7/8 look and feel is applied. Citrix XenDesktop is used to run these Windows Server vm’s. The reason to use Windows Server as a operating system for end users is Microsoft not allowing to use Windows client operating systems in multi-tenant infrastructures with shared hardware. Terminal Services= The old name for what now is called Microsoft Remote Desktop Services. cloud-hosted desktops = Also known as Desktop as a Service (DaaS). A set of applications or a full desktop are consumed by end users. The infrastruture to offer these is managed by a service provicer. VM hosted apps/ VM hosted applications = Uses Citrix XenDesktop to present a single application to the end user instead of a full desktop. Acts as an alternative for published applications available in XenApp. I was getting a bit confused by all the different terms used by vendors like Citrix for ways to present datacenter executed desktops to end-users. This post is an attempt to make clear what vendors and analyst firms like Gartner mean. Frimley Park NHS deploys VDI for efficiency and BYOD. 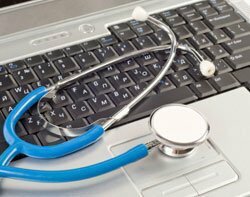 When Frimley Park Hospital came under increasing pressure to make its IT budget go further, the IT team opted to deploy a virtual desktop infrastructure (VDI) in its A&E department. Desktop virtualisation did not just bring time and cost efficiencies but also led to better patient care and made its IT ready for a bring your own device (BYOD) programme. The Surrey-based NHS foundation trust serves over 400,000 people across north-east Hampshire, west Surrey and east Berkshire. In addition to the main hospital site at Frimley, it runs outpatient and diagnostic services from Aldershot, Farnham, Fleet and Bracknell. When the trust was redeveloping its emergency department, the IT team began thinking of ideas to generate extra revenue and to make its budget go further. The department has over 100 desktop computers, which can all be used by all staff and each has exactly the same functionality. The team wanted a way to manage these desktops from one central location. “Our emergency department desktops are all set up to have exactly the same functionality, with auto logging and the clinical functionality they need,” said Jon Petre, infrastructure lead at Frimley Park Hospital. The trust decided that virtual desktop infrastructure (VDI) would be the most appropriate technology to use across the emergency department. One of the objectives for the IT team was to have the ability to manage its IT from one central location, while freeing its up workforce to concentrate on the development of strategic technology deployments. With VDI’s ability to concentrate resources onto one platform and replicate software across an entire IT estate, Frimley’s staff could simply access the clinical applications required with the minimum of effort, while maintaining a consistent desktop delivered from the datacentre, according to Petre. “With VDI, we could deploy multiple desktops in a short period of time and provide upgrades to existing software centrally with minimal effort,” he said. The IT team picked VMware’s VDI product View over the more popular Citrix VDI productbecause of the licensing terms. Unlike Citrix, VMware’s licensing is attributable to a client desktop, rather than a server operating system. The trust then virtualised all its A&E department desktops using VMware View technologyand created an easy-to-manage unified system, which has helped it meet its main objectives in saving time and reducing energy bills. The IT team will use the saved time to focus on more strategic operations, such as developing cloud services to the local area. “We can focus on the big picture now, planning for future deployments rather than upgrading desktops one at a time. We can work on a hundred computers at once, making all the necessary upgrades in a matter of hours,” Petre said. The VDI deployment also helped improve security on-premise, as all of the data is held in the datacentre, rather than cached locally on users’ end-point devices. “With VDI, we’ve managed to change the old into new overnight and with minimal disruption to the service we provide our staff and, in turn, patient care,” Petre said. In the future, the team is looking to build on its VDI use by allowing staff to connect to the desktops from their personal tablets – helping them to keep abreast of information on the go. “We get a lot of queries from the medical team about their personal devices and whether they could start using these on the ward soon. This is something we are already looking into and are confident of deploying bring your own device (BYOD) solution in the near future,” he said. Having a BYOD strategy is beneficial for an organisation in many ways. It has the potential for cost savings because it allows employees to bring their own devices to work and save on corporate-issued devices. Another advantage of BYOD is that it supports a mobile and cloud-focused IT strategy. It also leads to a mobile workforce thereby increasing staff’s productivity. But there are also security and legal risks associated with BYOD policies. Don’t Take Your Eyes off VDI – Cisco are Certainly Not! This blog post promises to avoid telling you about all the fantabulous (I know that’s not a word) growth expected in the number of hosted virtual desktops to bedeployed by 2016. What I do want to share, is how Cisco is ramping up our investments in accelerating your path to virtual desktop success, and how we’re tapping into the fundamentals of our Unified Computing System (UCS) to deliver new VDI efficiencies; the same efficiencies that have made Cisco the 2nd most preferred x86 blade server vendor* worldwide, in just 4 years! So why are so many organizations moving away from their legacy compute solution, and choosing UCS for VDI workloads and more? 2.) We’ve made it easier to provision and manage the hosts for your virtual desktop deployments. UCS Service Profile Templates enable rapid deployment from bare metal, creating a zero-touch, mistake-proof, stateless operations model. Now, when you add the On-Board, server-resident flash to the configuration, you extend the reach of this management model to include high-performance, economical storage, completely provisioned and managed as part of the blade configuration/profile! No SAN or associated expertise required! Perfect for floating, non-persistent desktops. 3.) Granular visibility across the virtualized infrastructure. With user desktops now running amidst other mission-critical workloads in the data center, there’s more reason than ever to ensure that you can impart QoS, security and manageability across the multitude of virtual machine traffic flows traversing the data center. Cisco Virtual Machine Fabric Extender (VM-FEX) and Cisco Nexus 1000v provide the visibility and controls that make this possible, extending physical world policy and administration to virtual. 1.) We’ve introduced an expanded suite of solution architectures for VDI, that introduce not only the On-Board approach I mentioned earlier, but also the “Simplified” architecture (UCS Fabric direct-connected to storage appliance) and the “Scalable” architecture (traditional multi-tiered, with Cisco Nexus 5000 as intermediating switch fabric between storage and server). Additionally we have our Converged Infrastructure models leveraging VCE vBlock and FlexPod that offer convenient, modularized packaging of the complete infrastructure needed to rapidly deploy VDI. 2.) The architecture suite mentioned above would not be possible without a comprehensive portfolio of technology partners, especially where storage is concerned. Cisco enjoys a strategic relationship with industry leaders Citrix, VMware, NetApp and EMC, and together we’ve made VDI one of the top workloads deployed on UCS with over 1,200 VDI customers in place thus far. As we expand our market reach, we’ve converged on a select group of technology partners who help us expand our value proposition, offering new exciting capabilities that intercept the flash-based trend, and with whom our customers have sought validated design guidance based on Cisco. This group currently includes: Atlantis Computing, Fusion-io,Nexenta, Nimble Storage, Tegile, and more on the way! Clearly there’s a lot going on here with Cisco UCS and VDI… and with our commitment to anticipate and intersect meaningful technology trends, and the leading solution capabilities of our strategic partner ecosystem, we’re refusing to take our eyes off the VDI-ball, regardless of whether this is the Year of VDI, next year, or the year after that. Lastly – are you going to Cisco Live at the end of the month? If so, we’ll have some great news on desktop virtualization content to be had at the event, and how you can connect with helpful demos, sessions and expertise. Stay tuned!